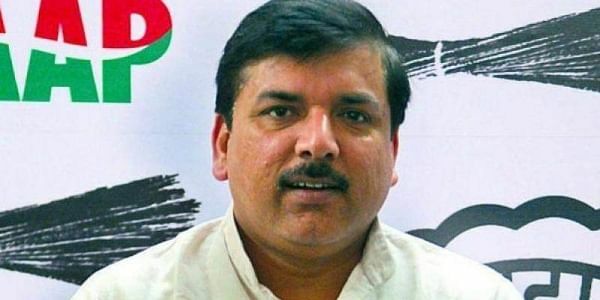 "We supported Nitish (Kumar) for his good governance record and his fight against the communal BJP," AAP's chief spokesperson Sanjay Singh said. NEW DELHI: The Aam Aadmi Party today accused Bihar Chief Minister Nitish Kumar of "double standards" for forming government in the state, a day after his dramatic resignation, with the support of the BJP. The party also claimed that the BJP may resort to "tactics" to destabilise the Arvind Kejriwal government in Delhi. He said it was ironical that Kumar was now finding RJD president Lalu Prasad corrupt, but did not hesitate to take his support for forming the government in Bihar in 2015. "This shows Nitish's double standards," he remarked, expressing shock over the political developments in Bihar, where the JD(U) walked out of the Grand Alliance and made a re-entry into the BJP-led NDA. Until yesterday, the AAP had guarded its response and said it would comment only after seeing how the developments unfold. However, by late last night it had become imminent that Kumar had deserted the Grand Alliance which, besides the JD (U), included the RJD and the Congress. The AAP and the JDU were often seen on the same page with the supremos of both the parties enjoying a good equation. Kejriwal also supported Kumar when the Grand Alliance was formed to take on the BJP and even campaigned for him. Targeting the BJP, Singh alleged that the agencies under the Centre have been targeting the Delhi government and AAP MLAs. This, he feared, could be a "ploy" to destabilise the Delhi government. "Even if you don't have the mandate you still form the government by imposing presidential rule... even if you are not the single largest party (in case of Manipur and Goa). This is (BJP president) Amit Shah's style of politics," Singh said.